Browse Jeff's book for business owners and leaders. Bring the "Jeff Experience" to Your Next Event! Our online learning programs are designed to help you achieve your goals faster and more effectively. They are fully accredited for CE credits. instant access to our training. no obligation. no credit required. Jeff has been called one of today's leading "Leadership & Marketing Strategists." Dr. Jeffrey Magee brings over two decades of Executive and Coporate Development expertise, with the last decade working on both the start-up to mature-growth market business sectors, and with differing State National Guard Adjutant Generals across America. Jeff has and does maintain long-term clients, working with Association and Organizations at the Board level and across the C-suite. Accelerate your personal and professional success. Go from where you are to where you want to be, and do so now. Achieve your goals, aspiration and life balance needs. Learn about our programs designed to help you develop your team in the key areas of LEADERSHIP and SALES. Learn about our personal professional development programs designed to help you fulfill your highest potential. "Jeff spoke (full day program) for our National Speakers Association Chapter in Illinois over two years ago and he was one of the best speakers we have ever had. His content was rich and what a great delivery style. Everyone thought he was talking just to them!I am looking forward to being at another of his trainings/workshops very soon!" "Jeff Magee is a master at all he does -- experienced, visionary, prolific, focused, responsive, generous and caring -- are the words that come to mind. I've had the pleasure of working with Jeff as a client, a coach and a colleague for 10+ years. I've had the opportunity to share him with clients and corporate contacts who, of course, sing his praises, as well. He is one of few who rise to the top and strive to raise others along with them. I deeply respect and recommend Dr. Jeff Magee to all who are looking to rise to their next level in leadership, business mastery, performance, productivity and an expanded view of what is possible." "Jeff has been a colleague of mine through the National Speakers Association for years. Jeff is a leader who's known for his expertise and delivery in the world of organizational development and training, working with all levels within an organization." 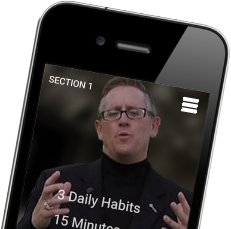 "I hire Dr. Jeff for continuous sales training workshops for our members. We had him as a keynote speaker for our leadership conference this year and he was outstanding! He is one of the most professional trainers I've ever worked with and receives the highest ratings available after each session. He is a fantastic teacher, who motivates our sales teams to go back out there and sell, sell, sell! A pleasure to work wit,h and I highly recommend him to anyone looking for sales, leadership and motivation speakers." "I took the recommendations of my peers and hired Dr. Magee for two days of training. My sales force team is comprised of national guard recruiters. The training was motivaitonal, but more importantly my team learned new tips, techniques and gained new concepts beyond basic sales fundamentals. Directly after the training, we exceeded our sales/production numbers for over 100 days. Dr. Magee's training works!" "When I served as CEO of the National FFA Organization, Dr. Jeff worked with the National FFA Alumni in helping us redefine our focus and strategy going forward. His enthusiastic and professional approach was well received by our alumni leadership and by our membership. Jeff worked with our management team and also served as the key facilitor in a large conference setting. His keen ability to relate to his audience and engage everyone was demonstrated in both of these groups. Jeff is one of the best in the business in his presentation skills but his follow-up is phenomenal. He is a great listener and his people skills are outstanding. Jeff is a quick learner and he works hard to fully understand his customer and is very straight forward with honest assessment and recommendations. You should not hesitate to contact Dr. Jeff for your next project, regardless of the size of your project. He will exceed your expectations." "To any leader who is looking for tools and insights on helping your company grow, I'll share this endorsement. I had the privilege and the pleasure to participate in a CEO Club educational curriculum that Dr. Jeff lead. His insights were spot on and the "take aways" were very beneficial. I'd highly recommend you engage with Dr. Jeff and his teachings." "One of the greatest compliments that I can provide someone is to say that they are a serious student of their specialty and their craft. There are too many who give "book reports" on the material of others -- or who pontificate without qualification. Dr. Jeff is a serious student -- who also possesses a remarkable ability to take what he has learned...and what he is immensely qualified to speak and write upon...and delivers actionable insights to his clients in a compelling manner." "I've been in the professional speaking industry for 20 years. Fortunately, I crossed paths early on with Jeff Magee. Jeff is a prolific author, presenter and expert on leadership. He is the go-to expert for Fortune 500 companies seeking to stay ahead of the competition while building a strong culture of leadership. Those seeking cutting edge information and strategies owe it to themselves and their organization to seek out Jeff's expertise!" -Lois Creamer- Author of "Book More Business: MAKE MONEY SPEAKING!" "Dr. Jeff is a giver that over delivers. I have personally learned from his business brilliance and been blessed by his generosity." 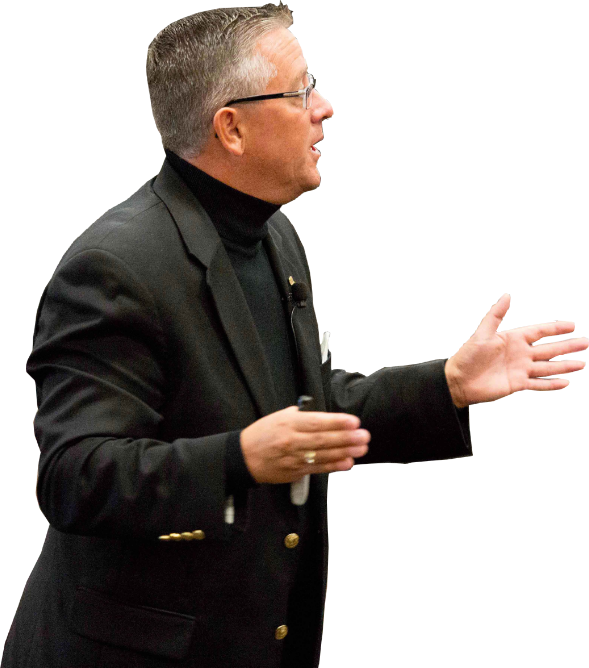 "Jeff Magee is one of the top keynote speakers I have ever attended and worked with. He is knowledgable, talented, and a class act all the way. His background in journalism and business makes him vastly more interesting and well suited to his role than most any other keynote or host in the business industry. I would work with him any time and would give him my highest recommendation, to anyone." "Jeff is the consummate professional. He has very high standards and brings that to his interactions and expectations with his clients. As a result he GETS RESULTS. When CEOs come to him, they know they have a problem in their organization and your average consultant doesn't know how to fix it. Jeff does. He knows how to assess and determine the hidden business killers in the corporate culture and operations, and like a surgeon cut it out and implement a treatment plan. The only companies that have not benefited from Jeff's business mastery are those that don't listen and don't heed his tough love. To be top notch, it takes effort and often a paradigm shift away from what has been the status quo and "how we have always done things" syndrome. The process to becoming a leader in your industry will take time, money and discomfort, but if you want to be on top, that is what you will need to do and Jeff has the knowledge, experience and determination to lead executive teams and board of directors to that pinnacle." "Jeff takes you on high energy journey through tactics and strategy of developing leadership execution to maximize sales efficiency while demonstrating the effectiveness in his business. Dynamic, and engaging Jeff provides step by step ways to differentiate our position in the market." "Jeff is a common-sense guru who goes beyond theory to practical ideas that work to increase revenue and profit. He is insightful, clear and extremely relevant to any organization wanting to compete at an elevated level." "There is only one thing that Jeff Magee doesn't know how to do.....under deliver. I've known Jeff for 12 years and been a part of so many events that he has masterfully delivered the most valuable content they could have hoped to receive. CEOCLUBS has had the honor of his Training's in Florida now for 17 months...and frankly our CEO'S feel spoiled to have had him doing Skype Training's for every Tier 1 Event. When it comes to being content rich and knowing it inside and out...he is FAR ABOVE C LEVEL. 23 Books to his credit just adds weight to our Praises of the intense value of his services and his life. Truly Honored to know him and be able to direct people to his work, books, magazine and services. " "I first met Jeff many years (25+) ago and was very impressed with his insights into performance and his incredible communications abilities. So, I retained him to help me motivate and build teamwork within my team at Target Corporation. Needless to say, he significantly exceeded that expectation and he has provided me with wisdom and guidance ever since then. I recommend Dr. Jeff Magee highly for his professionalism, his insight into people and his motivational and communications capabilities. While there are quite a few good motivational speakers out there, very few, if any, achieve the outstanding results Jeff brings to an organization." -King Rogers - Sr. Assets Protection Advisor at Master Technology Group, Inc.
"Dr. Jeff Magee is one of the most talented and skilled sales coaches and trainers I have worked with in the last 14 years of marketing and sales online. My biggest take away is that there is really no problem that cannot be solved and his solutions and training have increased sales and profitability of both my companies. Read, talk to, meet with, whatever you can with Jeff. Cannot recommend him highly enough." "Each of this testimonials will appear in thi space as the website user clicks on the photo above. This is great way to d isplay a ton of testimonials without it all appearing too busy. Plus it's a cool effect to show off how tech savyy you are!" "Our company is celebrating its 42 year anniversary. We have booked every Past President of the U.S. beginning with President Ronald Reagan. Our first two sports stars that we booked were Jackie Robinson and Muhammad Ali. We have booked all of the top motivational/inspirational speakers like Dr. Wayne Dyer, Bob Proctor, Jack Canfield and Michael Beckwith. In the business arena, Dr. Jeff Magee is the BEST presenter I have ever witnessed He always receives thunderous standing ovations, and is frequently re-booked. He has a gigt. He IMPACTS LIVES. I offer Dr. Magee my highest endorsement. A 10+++++++++ rating. Book him for your next prestigious event. You will thank me. " -Bruce Merrin - President at www.celebrityspeakersentertainment.com and Owner, Celebrity Speakers Ent. "Jeff is a high-class entrepreneur, expert, and developer of people and organizations. I'm happy to recommend him as a coach, consultant, and/or trusted advisor." "Dr. Jeff Magee is by far the best perfomance, sales, leadership coach in business. The intellectual capital this man posses is amazing. The concepts, processes and systems to success will help any company. As a keynote speaker Jeff is the only professional speaker I have seen over 10 times and would attend another 10 events. Make your event or conference a winner and bring in Dr. Magee." "I had the opportunity to spend 1-1/2 days learning from Dr. Magee at the National Association of Electrical Distributors Sales Management Bootcamp in Austin, TX in April 2017 and also during the 4 hour Strategic Leadership workshop he presented at the NAED LEAD Conference in Denver, CO in July 2017. Dr. Jeff's innovative and rapid fire delivery of leadership & sales strategies and techniques taught us all many new skills that can be immediately applied in our businesses and will no doubt positively impact our companies and careers for years to come. I have attended many personal and professional development educational conferences and workshops over my 27 year career and Dr Magee is the best of the best. His real world experience, outstanding educational credentials and expert mastery of his subjects combined with an enthusiastic, engaging delivery style and his passion for guiding others to success makes attending one of his educational sessions feel like you're sitting in a College Masters Degree Level course." "I have work with Dr. Jeff McGee for the past four and a half years. He has helped me create a very lucrative professional speaking business. I highly recommend his services to anyone who is looking at starting a professional speaking business or who needs help with sales." "I had the opportunity to hear JM speak at CEO Space International a few years ago and was absolutely blown away. I couldn't catch my breath because of the depth and consistency of his content. My daughter went through the entrepreneur program for teens. He spent time with her, remembered her upon reconnecting several days later and has a memory I've never seen before. I've been looking for the opportunity to be in the same room with him again. In a room filled with extraordinary people, you will make time to meet Dr. Jeff Magee." "Dr. Magee is an energetic, powerful speaker. His training programs and modules are the best I have seen. His passion for his work is second to none. His attention to every detail and willingness to improve "team" performance is outstanding. He is truly a leaders leader and an asset to all in this industry." "As a Senior Military Recruiter, I always assumed that I would either have to be integrity-based or production-based. Dr. MaGee's workshops and publications taught me that not only can they coexist but combining those two values are the perfect formula for success. I have "Find It, Get It, Keep It, Grow It" on my desk and refer to it often." "Dr. Jeff is a highly credible & charismatic consultant, speaker & leader. His energy is endless as he mentors, motivates & connects America's best & brightest entrepreneurs. It is a pleasure to know Jeff and watch him effortlessly collaborate with those who come across him in their professional lives." "I have known Dr. Jeff Magee and worked with him at our CEO Space Business Growth Conferences for years now, and I am so proud that he is a member of our Faculty where by he teaches and mentors business owners of all sizes tirelessly giving of his expertise and experience. Jeff's content that he teaches is always up to the nano second as to how it relates to the market place today. I so appreciate his giving spirit and I know from working with him that he is a Man of Integrity, always operating straight from the heart. I recommend Dr Magee and his ability to really help Ceo's be able to utilize his mentoring and teaching to take their businesses to a whole new demention. " "I had the opportunity to work closely with Dr Jeff while he was on the faculty of CEO Space and as the Publisher of the Performance Magazine. The best way to sum up my experience is to say he was head and shoulders above any trainer or leader I had previously worked with. I've spent time in the military, corporate as a senior manager, have advised and coached leaders in business, non profits and ministries. Dr Jeff tops them all. He brings a level of skill, wisdom, passion and energy to everything he does. I highly recommend him to help you get greater results from your teams and create better leaders for your organization." "Jeff Magee has a wealth of information that we can all benefit from! He is a teacher that shares "real-life" situations that can help your business grow and get to that next level. If you have an opportunity to hear and/or work with Jeff - do it!!!" -Bob Circosta - Owner at Bob Circosta Communications, Inc.
"Jeff is the BEST of the BEST in training any management team at the top - strategy - marketing - cooperative culture building - performance enhancement system wide - primarily Fortune Company or hyper growth institution globally. Jeff is in a league of his own. Our VISION RETREATS for $ 1,000,000 reinvent brands - reposition products to market - and create buy in system wide - just engage Jeff just do it." "The first time I heard Jeff speak at a CEO conference in Los Angeles I was instantly impressed and I knew immediately I wanted to work with him. After several collaborations we began working together on Performance Magazine and Performance HUBS. I always found Jeff to be the consummate professional and full of energy. His passion for his work is his driving force...if you engage Jeff on any level, you're getting everything you would expect and more..."
"If you haven't heard Dr. Jeff on our Free for All Fridays on Catalyst Business Radio, you're really missing out! He adds so much to our show, each and every week, weaving his way through current events, business news & key legislative issues... making the news of the day relevant to our small business audience. Articulate and armed with information, he comes to the show with a true sense of country and always with incredible spirit and humor. Scott and I are blessed to have him as part of our team!" "Jeff Magee isn't just the number one name I think of when it comes to business performance and human capital, he is also a collaborative Spirit." "Dr. Jeff came to Vacuworx and provided staff with a number of training courses. He worked closely to identify solutions that we could execute as a company. On a personal level he provided 1:1 mentoring and coaching that left a lasting impression on myself as well as others on the team. If you are looking for a sound investment in your human capital his courses such as the "Leadership Academy of Excellence" are a great place to start." "Thank you for your excellent presentation last week at the CEO Clubs meeting and the digital copy of your magazine. Looking forward to reading the Larry King article.Hope to meet you in person one day." "The difference between success and failure is the amount of energy. You decide whether to channel that energy toward a positive or negative point."